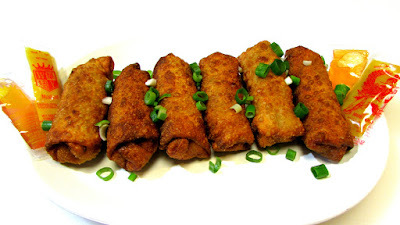 How to make fresh and crispy egg rolls at home, better than in Chinese restaurants! You all know how much I love to eat and cook Chinese food at home. But every once in a while I order take out. 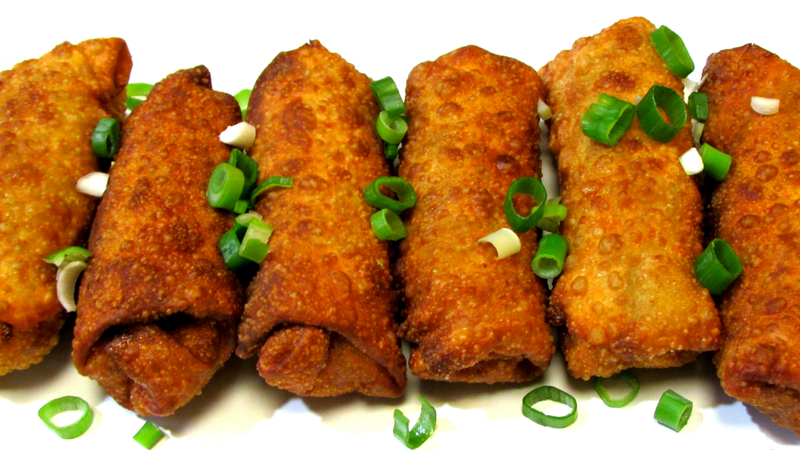 I always crave egg rolls knowing there's a 50/50 chance they're going to be any good. Are they going to be fresh and crispy or soggy and greasy? It's like playing the lottery with something that SHOULD be easy to guarantee fresh and crispy egg rolls every time! In the recipe and video below I show you how easy it is to make fresh and crispy egg rolls better, healthier and cheaper than in Chinese restaurants! Hope you all give them a try and let me know how you like them! In a large skillet or wok over medium high heat add sesame oil, shrimp,garlic and ginger. Stir fry for 30 seconds. Add shredded cabbage and stir fry for 1-2 minutes just until the cabbage begins to wilt. Stir in green onion and remove from heat. Transfer mixture to a paper towel lined plate to drain. Lay egg roll wrapper on a flat surface and paint all four sides with the beaten egg. Place 2-3 TBS of the filling in the center and roll from the corner closest to you, then fold the left and right corner in (like an envelope) and continue to roll. Ensure all seams are sealed. Fry in 350º oil for 1.5-2 minutes JUST until golden brown. The skins will overcook very quickly, so as soon as they look almost done, pull them out. Drain on a wire rack for maximum crispness! !